If you’ve found yourself in one or more of these situations, it may make sense to consider a fixed index annuity as part of your retirement portfolio. 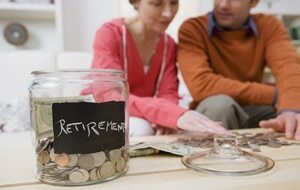 Real-life scenario #1: You have worked hard to accumulate money in your retirement account. You’ve maxed out your 401k for years. Now, you’re approaching retirement and it’s time to figure out how to transition from wealth accumulation to income generation. You need to put an income strategy in place that helps you to maintain your standard of living throughout your retirement years with income you can’t outlive. Real-life scenario #2: The past few years have taken a brutal toll on your investment portfolio––and your sanity. You are tired of the stress that comes with the ups and downs of the stock market. You’re tired of seeing your hard-earned retirement savings lose value with big market drops. You need more stability. However, you’re looking for a bit more earning potential than what today’s bond options or Certificates of Deposit (CDs) can provide you. You are looking for a safer alternative to the stock market –– one that provides principal protection with some exposure to market upside. Real-life scenario #3: You are comfortable with playing the markets––to a point. However, you believe in diversifying your risk and are looking to shield some of your money against catastrophic stock market loss. You’ve done the math and you’ve figured out what portion of your portfolio you cannot afford to lose. You suspect that while an fixed index annuity is definitely not right for all of your money, it just might be right for some of it. Fixed index annuities have answered the retirement income needs for individuals facing a wide variety of retirement planning scenarios. By providing exposure to market-based gains and eliminating losses, fixed index annuities have proven to be an excellent alternative to the stock market. It is no wonder that these plans are one of the fastest growing asset classes with $150 billion invested over the past six years.